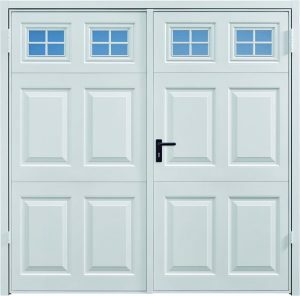 Garador steel side hinged doors combine quality craftmanship with attractive and traditional appeal. 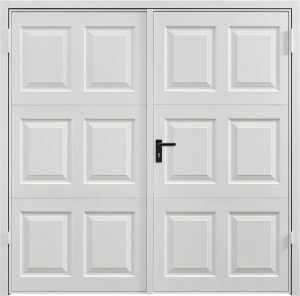 Garador’s traditional steel side hinged doors combine robust and reliable performance with simple personal access. 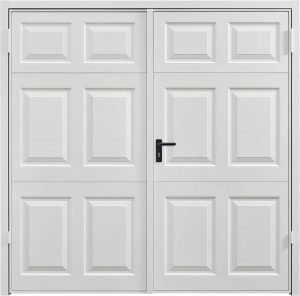 These doors are fitted with a lever handle inside and out, providing easy access at all times. For added security, the option of an outside knob is available. 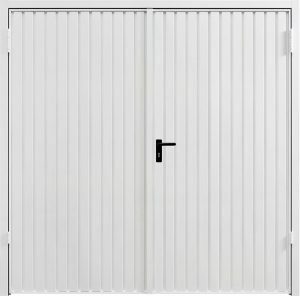 Garador Steel Side hinged doors come with equal sized leaves, with the right hand leaf leading as standard. 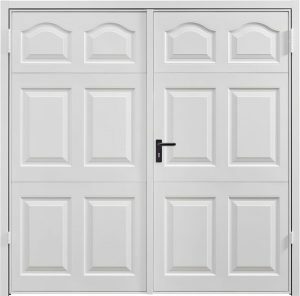 1 / 3 – 2 / 3 leaf configurations and / or left hand leading doors are available on request.